Just in time for winter, we're thrilled to announce White Resin. White isn’t just another color in our growing resin library; it’s been designed to produce parts that are exceptionally smooth and color-stable, for when the look and feel of your printed model is essential. We’ve been printing up a snowstorm to match Boston's weather and we're excited for you to do the same. 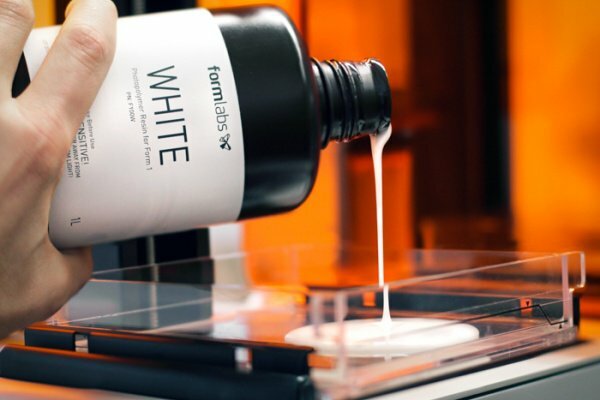 White is available now in the Formlabs store for $149 per liter. We've updated our PreForm software too — so download the latest version to get support for White. If you’d like to change what resin you’ll be receiving with an order you've already placed, use the following form and we’ll process your change before your order is shipped: Resin Change Form. Will Walker's flowers are ghostly in White. We’re excited about materials to come. Our team is working on a variety of new resins for specialized applications. Stay tuned — we’ll let you know when they’re ready. In the meantime, we want to hear from you! What kind of resins do you need? Let us know on Twitter, Facebook, and G+.